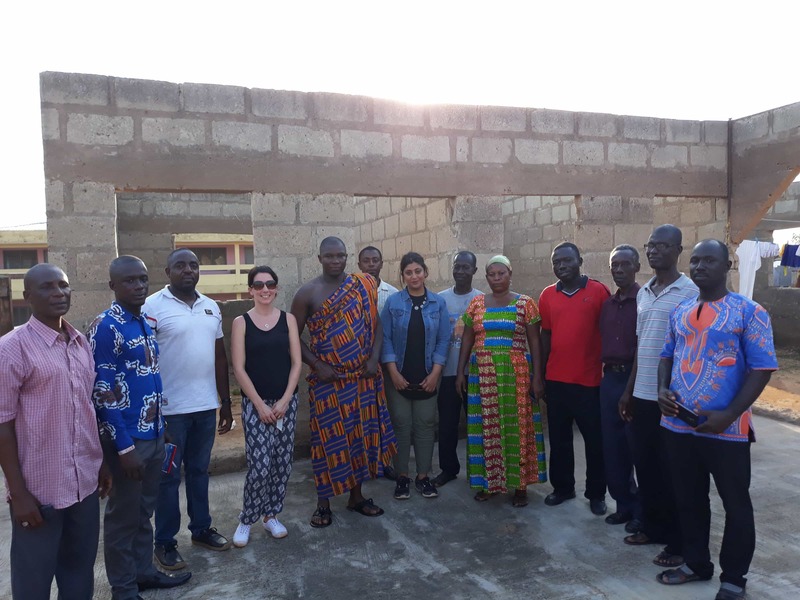 The Ashanti region of Ghana is home to many cocoa-growers living in small towns – like the ones I visited this week; Nerebehi and Asamang – with very poor water and sanitation facilities that fall woefully short of meeting the communities’ needs. Nerebehi has a population of over 5,000 people, yet the community has only 8 handpumps providing their water – and only five of these actually working. The community pay 10 pesos (less than $0.01) for a bucket of water, but of the 3 pumps I saw, the first of these dries up seasonally and can’t be used for long periods of time, the second produces water too salty to drink, and the third is faulty which means community members spend hours trying to fill a single bucket. When the queues at the working handpumps are too long, the community members resort to using their old water source – an open stream nearby, leaving them exposed to serious illnesses. Asamang has a population of nearly 10,000 people and its story is similar; inadequate water provision and faulty handpumps, which are too few to meet the needs of such a large community. Both communities rely on cocoa-farming as their main source of income. Cocoa-growers like Moses, pictured below, work in fields a short distance from the community but begin the farming process by growing seedlings in nurseries in their own gardens. 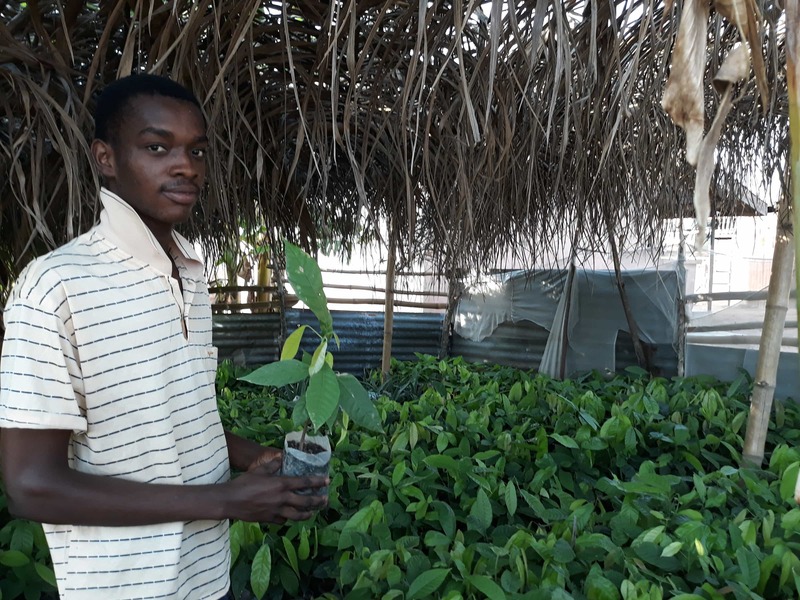 For Moses, having access to a reliable water service – especially during the dry season – is crucial to stop his seedlings from dying before they can be transferred to the fields. Much of the cocoa grown is used to make Divine Chocolate. Divine is a fairtrade company co-owned by the Kuapa Kokoo farmers Co-operative in Ghana. 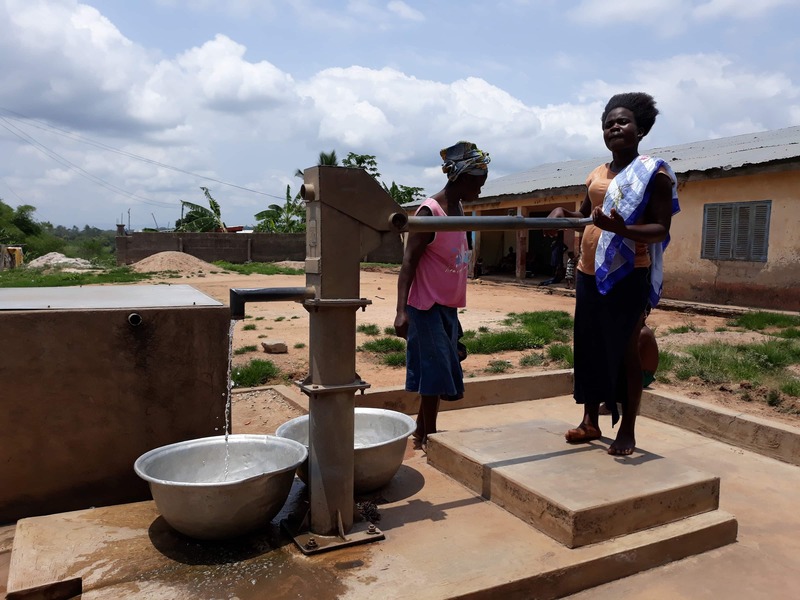 The One Foundation has teamed up with Divine, UK retailer The Co-op, and our local partner, WSUP, to transform the water services provided to 10 small towns in the Ashanti region, including Nerebehi and Asamang, over the next 2 and a half years. In total we will reach 60,000 people with a reliable, safe source of drinking water, which can also be used for washing, growing vegetables and seedlings like Moses’s. We are working with a design team to survey the communities and identify the best locations for water points based on sufficient yields to meet their needs, and will construct tap stands which are easier to use than a hand pump and can have multiple access points at the same site. The water quality will be tested and treated to ensure it’s safe to drink and the pipe network can be extended in the future to offer community members household connections. I was lucky enough to be granted an audience with the Asamang Village Chief and Queen Mother, who expressed their gratitude that their community had been chosen as part of the programme, and eagerness for the construction work to begin. The Chief dreams that one day he can have a household connection that means he can take a shower in his own home, and that none of his family will have to leave the house to collect water. My dream is that all ten of the communities we support will never have to worry about their water supply again and can focus growing their income from cocoa-farming and moving out of the cycle of poverty.